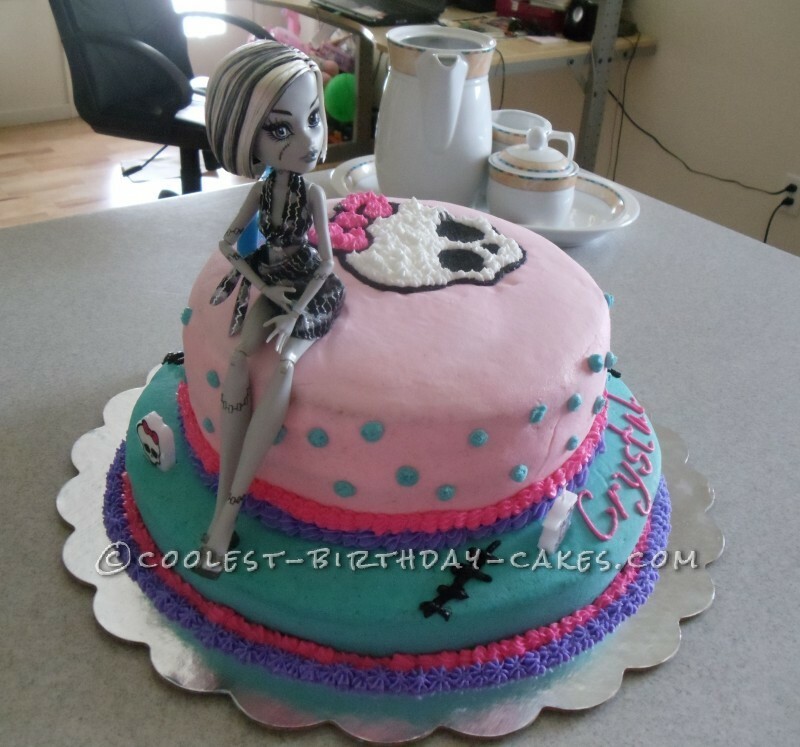 When I heard that my neighbor’s niece’s birthday celebration was about the Monster High characters, I stepped to the challenge. 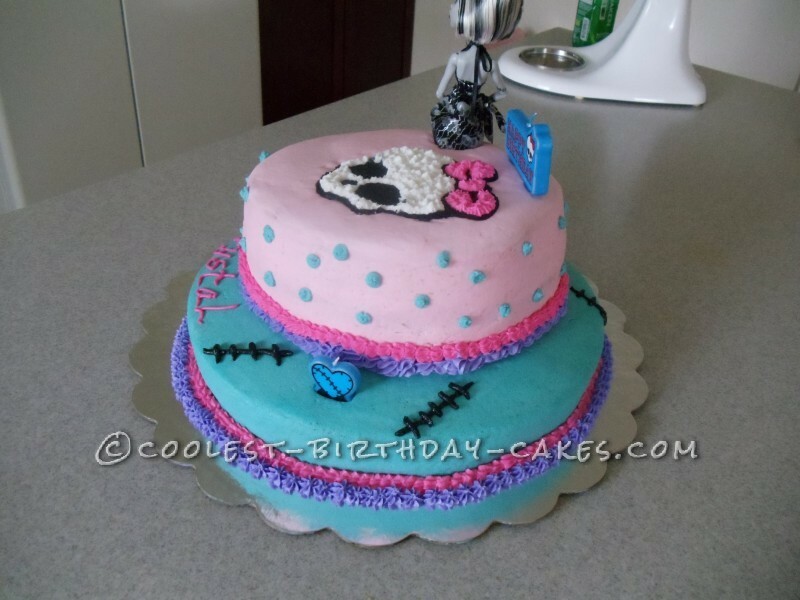 The bottom cake was 14″ single layered made with butter cream icing infused with almond extract. 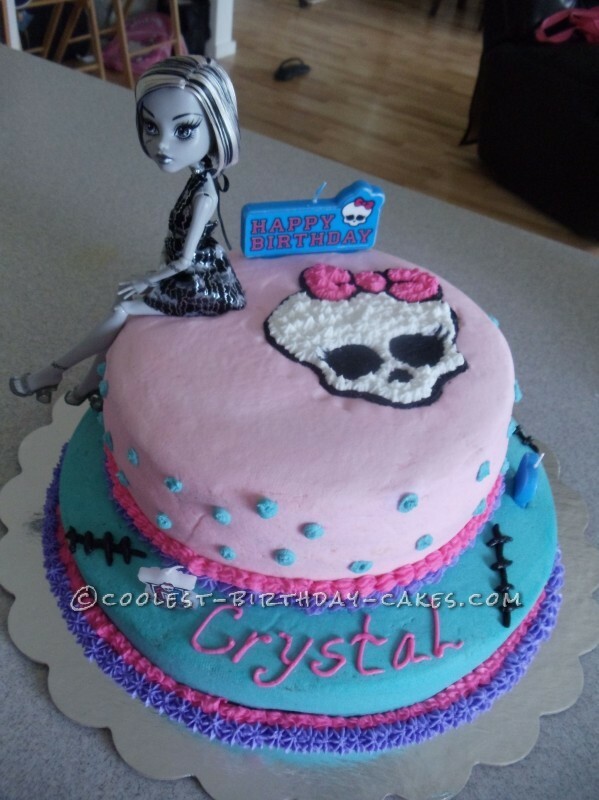 I topped this creation with a 9″ two layered cake; I copied an image of a Monster High skull and later transferred the image unto the cake using piping gel in order to trace it. 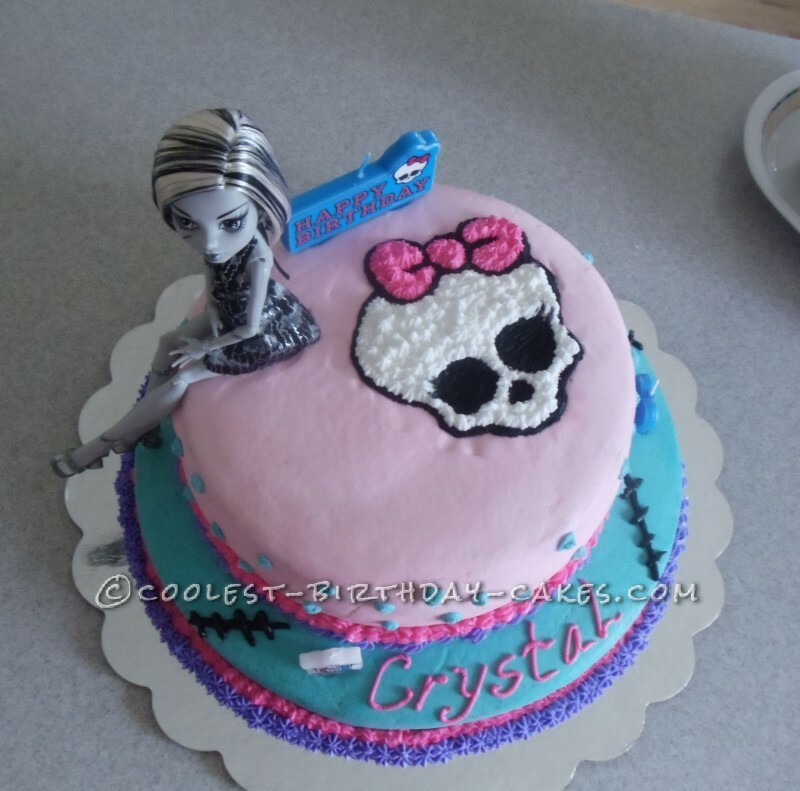 I later filled the skull using butter cream icing with the star tip. I used Duncan Hines yellow cake mix. 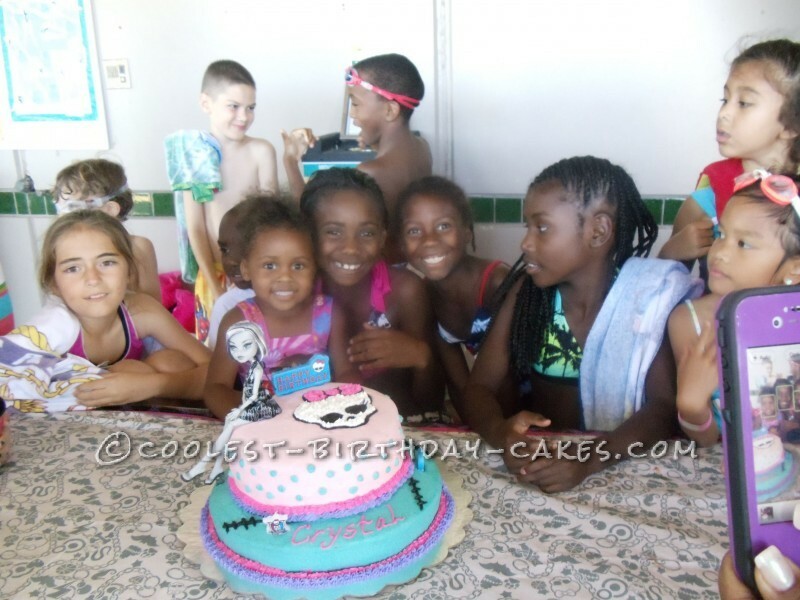 This cake was very moist and everybody loved the taste and were impressed by how it looked. I received lots of compliments.